This beautiful town and its temple got its name by the legend that says Lord Indra was purified from his curse at this place. 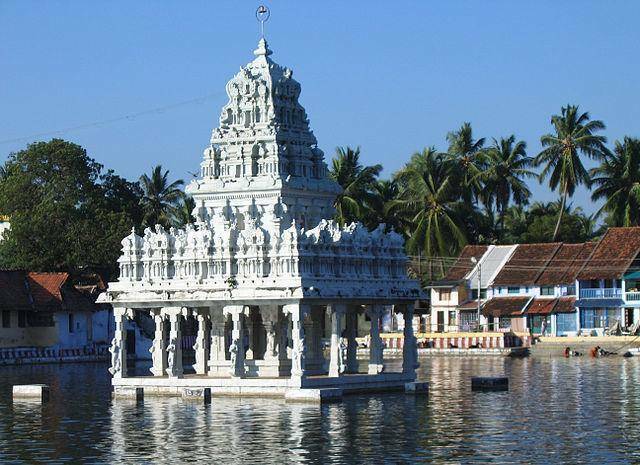 The temple which is also called Sthanumalayan Temple is a one of its kind in India. This is the only temple in India that houses Trimurthi (Sthanu –Shiva, Mal- Vishnu and Ayan- Brahma) of Hindu faith in same abode. This wonderful structure is a single complex of diverse architectural styles of Dravidian culture. The various south Indian Kings who were great patrons of Hinduism, art and architecture had embellished their wealth of the same in this temple which makes the visitors spellbound. This temple forms an entry port for you to the world of intricate, interesting and grand style of Dravidian architecture. The musical pillars are an interesting and famous feature in this temple. Ignore the pestering priests and guide who are just trying to mislead you for money and enjoy the opulence and serenity of the place in solitude.